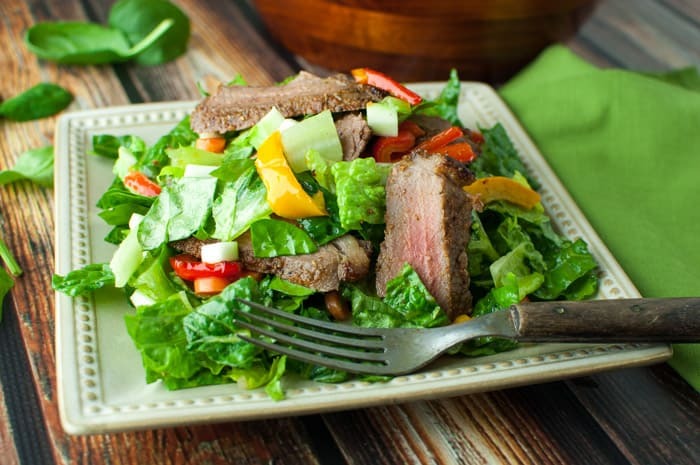 Whether or not you’re doing the sugar free challenge with us, this steak salad is perfect for your New Year’s resolutions that you’re really going to keep this time. I’m so proud of you that I’m virtually squeezing your cheeks. Not those cheeks. There’s no sugar in the dressing, no bad stuff, no evil vibes, no horrifying first world lettuce problems. You know me, I always have to snob things up a bit. I took an extra step and added some sautéed red and orange bell peppers (you can use any color you like). It was easy though because they cooked while I prepped everything else. My thought process is, if we’re going to be eating sugar free and depriving ourselves of white starches and all the other bad things we like to eat, we gotta make our meals taste extra good! 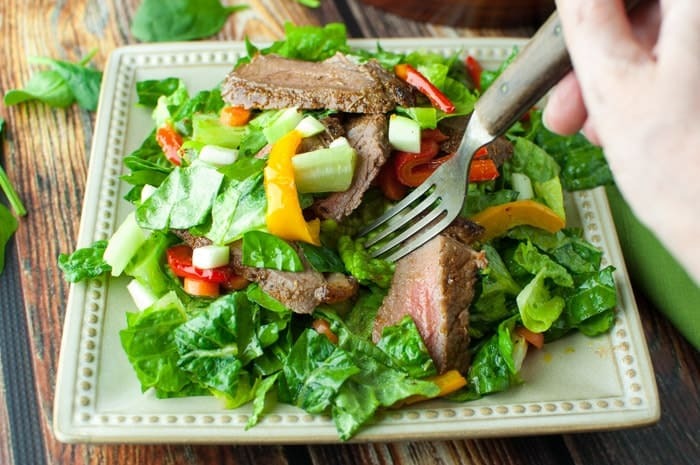 The bell peppers make this salad. But if you’re feelin lazy, I gotchuu. Leave them out. Since eating healthy can be quite expensive, I wanted to buy an inexpensive cut of meat and still find a way to make it taste delish. I decided on top round steak. If you recently won the lottery and want to buy filet mignon, go for it. 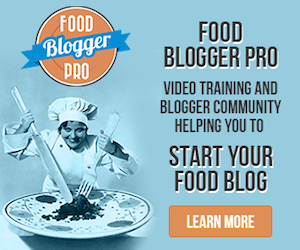 A few tips here and then we’ll get to the recipe because are we starving or are we starving?! When you’re steak is done cooking, let it rest for at least 5 minutes so you don’t cut into it and let all the juices run out. Dry steak = no flavor. Whisk that dressing like a spaz. I mean, really spaz it up. The picture above is not the dressing, that’s the rub. Don’t whisk the rub like a spaz, just whisk that like a normal, decent human being. Even if you’re feeling lazy and are saying to yourself “God, why must I cook tonight? Why me? Why must I be banished from McDonalds? Dear God, why?!?!? 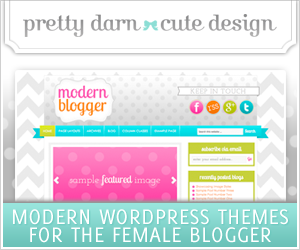 !”… take the time to sauté the bell peppers. They turn out so perfectly sweet and they really compliment the salad. Without dessert, we’ll do anything for sweet. If you’re doing the Fed Up Challenge with me, feel free to share your comments, gripes, sugar cravings, favorite tv shows, lost car key woes, or anything else you think I should know. Take out the steak, dry off both sides with some paper towels, and leave on a cutting board or large plate while you do the following steps. 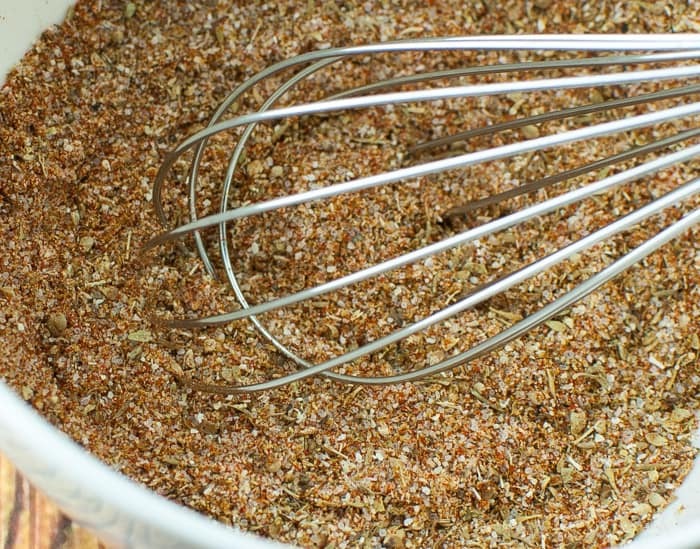 In a small bowl, combine the ingredients for the steak rub. 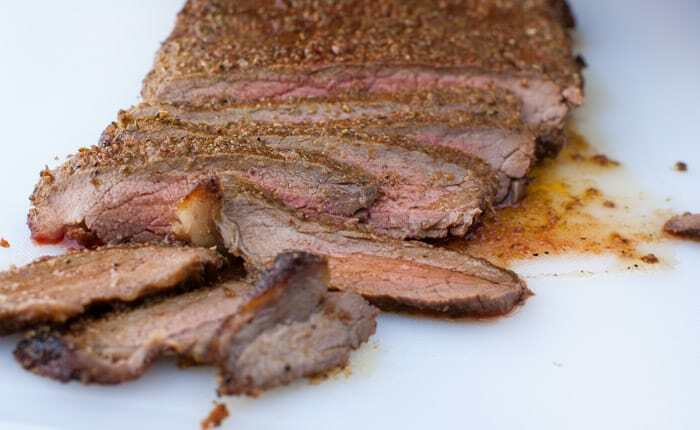 Generously rub both sides of the steak with the rub, pressing it in with your fingers in a circular motion. Rub it into the ends as well. Set aside. In a large nonstick skillet, preheat some olive oil on medium low. When pan is preheated, add the bell peppers and sprinkle with a little salt. Saute them on medium low for about 20-30 min, stirring occasionally, until soft and flexible, while you do the rest of the steps. In a small bowl, combine ingredients for the dressing, whisk together and set aside. 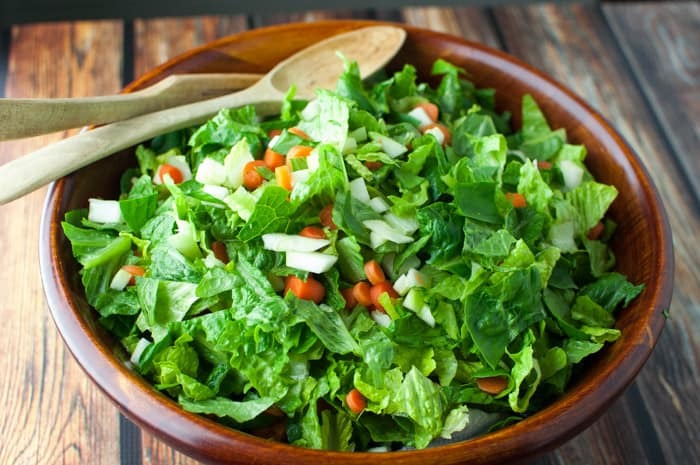 Get your salad together: In a large bowl combine lettuce, spinach, carrots, and zucchini. Set aside. Preheat your grill or oven. I used my oven. For oven cooking: preheat oven to 450° on broil. Put steak on broiler pan on top oven rack. Leave oven door slightly open while broiling (you can prop it open with some rolled up tinfoil). Broil for 3-4 minutes each side, depending on your preference and thickness of steak. When steak is done. Take out and let rest for 5-10 minutes before slicing. Slice on the diagonal against the grain. Before mixing salad, vigorously whisk dressing until it is emulsified. 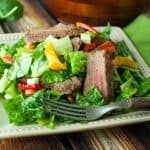 Pour over salad, add peppers, and toss together. Top with steak slices. *Granulated onion and garlic is not the same as “powder.” Powder is going to have a more intense flavor because it is finer in texture. If you’re using powder, you might want to use less than stated in recipe, taste, and then add more if necessary.